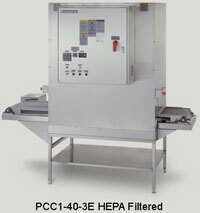 The PC Series Continuous Ovens can be configured to maximize production capacity and optimize floor space. They can be equipped with optional features as listed below to meet your specific production needs. 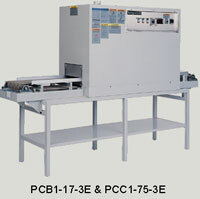 Please contact Despatch for more information on a PC Series oven configured for your application. 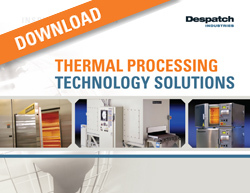 High volume vertical down airflow for superior temperature uniformity and process reliability.